5 Famous New Orleans Landmarks You Have to See to Believe! New Orleans, Louisiana, nicknamed the "Big Easy," is known world-wide for its eclectic charm. The home of creole cuisine, grasshopper cocktails, and "WHO DAT?" NOLA has quite a legacy to live up to for its millions of yearly visitors. Many of the sights and experiences New Orleans has to offer cannot be found anywhere else, and in this writers opinion, you need to see them to believe them! Here are 5 Famous New Orleans Landmarks You Have to See to Believe! 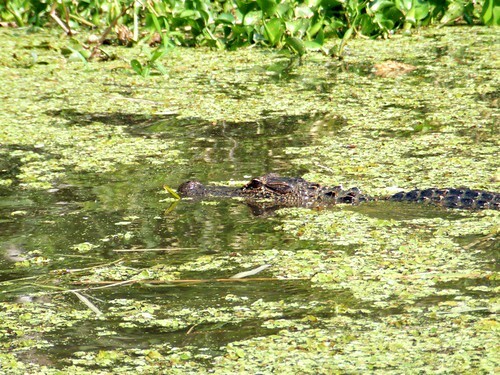 Honey Island Swamp is considered one of the least-altered river swamps in the United States. Pristine swamp lands stretch 140-square miles, with animals including alligators, bald eagles, owls, wild boars, nutria, snakes, turtles, and black bears! The famous swamp has functioned as a hideout for pirates, moonshiners, and even the illusive Honey Island Swamp Monster, a mythological big foot-like creature that patrols the swamp. Packed with rare flora and fauna, the Honey Island Swamp is a stunning sight to behold, and remains one of the top attractions to Louisiana and the New Orleans region. Passenger boats have been crafted special to traverse the treacherous swamp. If you're looking to visit this ancient landmark, try a Honey Island Swamp Tour aboard one of these custom swamp boats led by an experienced guide! This next destination answers the question, "where do the floats go after the famed Mardi Gras celebration?" At Mardi Gras World, located in the Garden District, artists and craftsmen work year-round maintaining, building, and updating your favorite Mardi Gras floats and props. Built in 1947, this storehouse builds and decorates over 500 floats a year! The Mardi Gras World Tour allows guests a behind-the-scenes look at how the New Orleans event functions, as well as a sneak peak at upcoming floats! 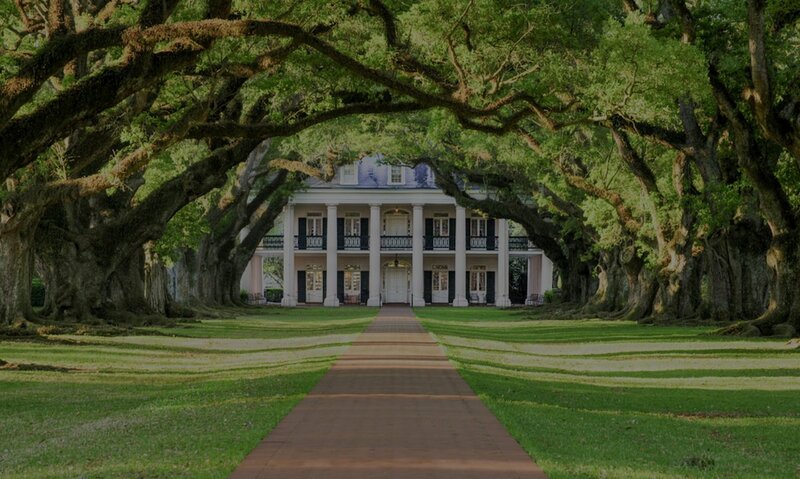 Straight out of a history book or Hollywood blockbuster, New Orleans Plantation Country exemplifies the beauty of the Colonial South. Once home to the richest land owners in the South, the estates are now mostly owned by historical societies, maintaining the integrity of the homes and offering guests a first-hand look. With some plantation homes dating back more than 2 centuries, Plantation Country is unlike any place in the world. Several extravagant homes and estates pepper the region drawing visitors from across the globe to witness the home architecture, antique decor, and beautifully kept gardens and ancient structures. Hurricane Katrina devastated the New Orleans coastline in August 2005. The rare category 5 storm displaced thousands of New Orleans residents, and the city is still rebuilding lost homes, business, and infrastructure. The Ninth Ward took a brunt of the damage, but the entire city was affected by this historic natural disaster. Since Katrina, the city has entered a period of rebirth, but the damage is still visible throughout certain districts and neighborhoods. Guided Hurricane Katrina Tours are now available to preview the Hurricane Katrina aftermath, complete with firsthand accounts from New Orleans locals and expert narration detailing events before and after the storm. Established in the late-1700s, St. Louis Cemetery #1 is one of three notable Roman Catholic cemeteries located in New Orleans, Louisiana. Voodoo priestess, Marie Laveau, is buried in one of the extravagant above-ground tombs, as well as Homer Plessy, a famed civil rights activist. Experience the historic cemeteries of New Orleans with a St. Louis Cemetery Walking Tour. Tours run daily and hit the sights you want to see, including the future tomb of big-budget actor and New Orleans resident, Nicolas Cage! Share a birds-eye-view of the St. Louis Cemetery #1 and MORE aboard a New Orleans Helicopter Tour. Book online for the best deals! So that does it for the 5 Famous New Orleans Landmarks you have to See to Believe! Looking to hit the town and chart your own adventure? Try a Hop On Hop Off New Orleans Bus Tour, with more than a dozen stops and FREE walking tours included in the ticket price. On a Hop On Hop Off Bus Tour, you can see and do more than ever before on your NOLA vacation!